The living entity, as will be explained in the Seventh Chapter, is one of the energies or natures of the Supreme Lord but is distinct from matter, which is another nature—called inferior—of the Lord. Somehow the superior nature, the living entity, has been in contact with material nature since time immemorial. The temporary body or material dwelling place which he obtains is the cause of varieties of activities and their resultant reactions. Living in such a conditional atmosphere, one suffers the results of the activities of the body by identifying himself (in ignorance) with the body. It is ignorance acquired from time immemorial that is the cause of bodily suffering and distress. As soon as the living entity becomes aloof from the activities of the body, he becomes free from the reactions as well. As long as he is in the city of body, he appears to be the master of it, but actually he is neither its proprietor nor controller of its actions and reactions. He is simply in the midst of the material ocean, struggling for existence. The waves of the ocean are tossing him, and he has no control over them. His best solution is to get out of the water by transcendental Krishna consciousness. That alone will save him from all turmoil. No, that is not true at all. He does not make the jiva do activities nor does he give the jiva the results of his activities. Rather the nature of the jiva in the form of his beginningless ignorance alone produces this. That ignorance makes the jiva assume the false identification as the doer. 5.14 When the world of embodied selves exists in conjunction with the Prakrti in the form of gods, animals, men, immobile things etc., the master (Prabhu i.e., the Jiva who is the master of the body), who is not subject to Karma and is established in Its own essential nature, does not bring about: (i) the agency of gods, men etc. (ii) their manifold and particular actions and (iii) their connection with the fruits in the form of embodiment as gods etc., resulting from their actions. Who then brings about agency etc.? It is only the tendencies that act. A tendency (Svabhava) is subtle impressions (Vasanas) originating from Prakrti. The meaning is that agency, etc., do not originate from the natural or pristine condition of the self but are generated by the subtle impressions created by misconceiving those forms of Prakrti etc., as of the self. 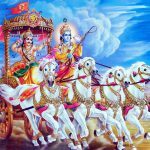 This is the result of the conjunction of the self with Prakrti in the form of gods, etc., which has been generated by the flow of previous Karmas brought about in beginningless time. Even as the mandate for regency bequeathed by a king upon his son is limited; even so is the independence to perform actions bestowed by the Supreme Lord upon human beings limited as well. To dispel the doubt that human beings might be independent in their actions and consequential reactions regarding the righteous or unrighteous merits or demerits of such actions this verse is responding to. The answer is the Supreme lord does not inaugurate independence of action or initiate the consequential results of actions for any being. Otherwise it would have been unnecessary to include the word lokasya to denote people of the world. Even though the son of the king is ruling over a province of the kingdom and enjoying the fruits having limited independence from the king but he is still responsible for his actions and rulership. In the same way the actions performed by the embodied being and the resulting reactions are not caused by the dependence upon the Supreme Lord but by the results of one’s own activities. 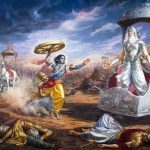 When a person believes they are the performer of actions they take on the responsibility of determining their destiny independent of the Supreme Lord and thus has to accept responsibility for suffering the consequences. 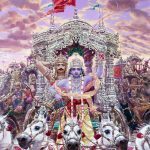 The inability to adequately describe the activities of the Supreme Lord has been explained already in the second chapter so it is not necessary to repeat it again. In the absence of the special attributes of the Brahman or spiritual substratum pervading all existence, other actions which are transcendental to material nature are not applicable to Him and thus need not to be attributed to Him although this reality is contrary to the erroneous, intemperate speculations of the sunyavadis or nihilists it need not be rebutted. The mere statement that the sunyvadis give that the Supreme Lord is without any special attributes or the statement that the mayavadis give that the Supreme Lord possess no attributes both establish the reality of His existence. 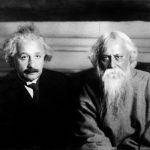 The ability to communicate with every living being internally, the utility of the divine sound OM His personal sound manifestation that pervades all creation along with His effulgence known as the Brahman are all manifestations of His special attributes establishing the reality of His existence. Otherwise such attributes would have to be understood by supporting proofs and that would be defective in knowing Him and this is not the case. 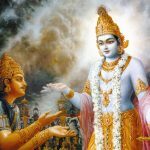 The Supreme Lord has the attribute of inconceivability. If this attribute of inconceivability is to be understood by the exclusion of His special attributes then such inconceivability must also be an attribute of His existence, otherwise any attempts to further comprehend His attributes will be defective. The word sarva meaning all and other descriptions do not categorically establish the reality of the Supreme Lord’s existence nor can all the evidences and proofs that have already been established prove His supremacy and existence. His attributes like the seven types of essence are perpetually established even when they are not perceivable. By His self-effulgence manifested into the Brahman, His existence is not easily established either; but His self-effulgence is specially accepted as an established fact due to it not being illuminated by any external source. The possessor of action and the performance of action are not contradictory by normal experience and knowledge and the object of knowledge cannot be experienced without the knower of knowledge. Therefore the erroneous hypothesis of the uninformed speculators does have any significance. na — never; kartṛtvam — proprietorship; na — nor; karmāṇi — activities; lokasya — of the people; sṛjati — creates; prabhuḥ — the master of the city of the body; na — nor; karma-phala — with the results of activities; saḿyogam — connection; svabhāvaḥ — the modes of material nature; tu — but; pravartate — act.